You have chosen the SIGNATURE TRIP which includes upgraded lodging. Your hotel will be a 5 STAR hotel with all the comforts that has too offer - impeccable service, beautiful surroundings, and all of the amenities. Your hotel, located in the heart of Mendoza, is the perfect location for walking to the beautiful plazas and markets in the city. Returning here will make the perfect end to your perfect days in clinic! In the evenings, you will find that city of Mendoza has wonderful plazas for you to explore, and miles of wine vineyards and olive groves waiting for your visit. The crafts will excite your senses and the people will make you feel welcome everywhere you go. Pay 1,700 and complete your application to secure your place as a TEAM MEMBER! Pay 1,700 of the total cost by the Early Bird date AND upload/complete all of your required documents and forms receive $200 off the cost of your trip. To confirm your space on the team: Pay 1,700 of the total cost AND upload all of your required documents and forms! Unfortunately, eligibility for the $200 savings on this trip is no longer available after Aug 17th, 2019. Before Aug 17th, 2019: YES! IMR will arrange your international flight on a "group" ticket at your request! Pay 1,700 of the total cost AND upload all of your required documents and forms to be eligible to fly on the international group ticket. YES - We need your help to take IMR supply bags internationally to Argentina – Mendoza Signature Trip! 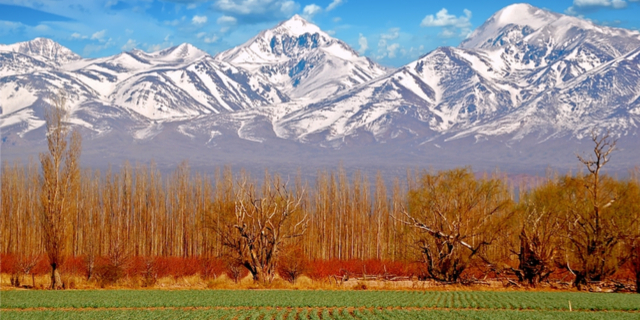 Take 2 supply bags for IMR both ways to Argentina – Mendoza Signature Trip. IMR Group Flight: In order to qualify for the IMR Group Flight, you will need to reach 50% of the required donation on or before Aug 17th, 2019. Early Bird Special: A discount of $200 is awarded to team members who raise / pay 50% of the required donation on or before Aug 17th, 2019.